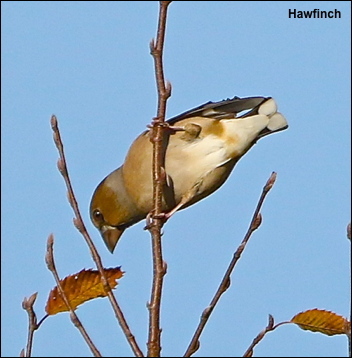 For the first time in at least the last fifty years there has been a massive migration of Hawfinches into the UK. Unfortunately for people in Manchester most of these Hawfinches have flown over and not landed! The main reason for this is that we have very few of their favourite Hornbeam trees in Manchester.